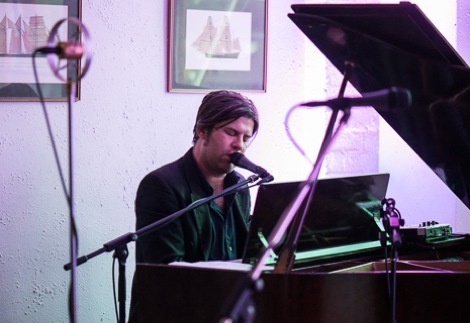 Mercury nominee Ed Harcourt plays an intimate sell out gig at Liverpool’s Scandinavian Church, Getintothis’ Chris Burgess reflects on an impassioned and redemptive performance. 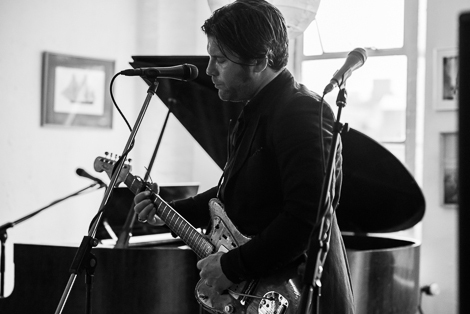 Is it really 12 years since Ed Harcourt burst onto the scene with his Mercury Award-nominated album Here Be Monsters? The past decade doesn’t seem to have affected the singer-songwriter’s ability to captivate an audience, as the packed upstairs room of the Scandinavian Church can testify. Sat behind the church’s baby grand piano, with the sun setting in the window behind him, Harcourt fittingly gave the crowd a passionate rendition of God Protect Your Soul, along with a number of songs from his new album Back Into The Woods. However, the performance really came to life when Harcourt moved away from the piano and picked up his electric guitar to give a delicate and haunting version of I’ve Become Misguided, which included some dexterous guitar pedal work. On a sweltering evening, dressed in a long black coat, he looked every inch the old time southern preacher addressing his flock. As with almost every gig at the church, the audience sat silent throughout. Occasionally this can take the atmosphere out of the room completely, but tonight it lent an eerie quality to the evening, magnifying Harcourt’s delicate poetry. Although veering slightly too much towards the extravagant, Harcourt’s piano playing was beautiful at times and his voice, drenched in perhaps a little too much reverb, seems to have matured since he made his debut. He certainly seems to have gained in confidence too, sharing jokes between songs with the crowd and the venue staff. “Here’s another pathetic love song,” Harcourt mischievously announced, before launching into a spellbinding version of She Fell Into My Arms. Comparisons have been made with Rufus Wainwright, but Harcourt’s lovelorn songs and pleading vocals contain slightly more grit. It was an atmospheric, redemptive performance. Photography by Getintothis’ Liz Phillips.